Pictured above is the gorgeous Peta Murgatroyd. The Dancing With The Stars pro along with Kym Johnson and other notable women like DJ Kiss, former Secretary of State Condoleezza Rice, and Olympic swimmer Summer Sanders recently shot a new spread called “It’s My Team” for the National Football League. You can read all about it and see another picture of Peta at WWD.com. The new campaign was shot by Daniel Jackson at Pier 59 Studios. It will be available in fashion and lifestyle magazines in August. ADDING: Abd below is a take of Kym behind the scenes thanks to @DWTSGossip for the find. Gorgeous! KTNV in Las Vegas has a new interview up with Dancing With The Stars pro Tristan MacMacnus. 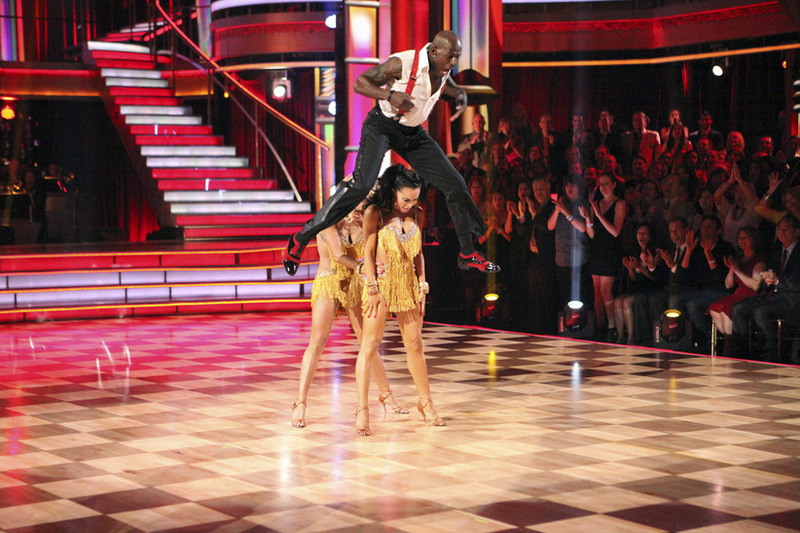 Tristan chats about the last two seasons on Dancing With The Stars a little. He also discusses joining the ‘Dancing with the Stars: Live in Las Vegas’ show for the remainder of the show’s run this summer. Tristan says the “demand” is there to keep the show running past July 7th (the planned ending date). They ask him if he’s coming back for the new season of Dancing With The Stars in the fall, but, he (and the rest of the cast) won’t know anything definite until a couple of days before the announcement. He said, “Awwww yeah”, he’ll be ready to go is asked. You can watch the interview in full at KTNV. Picture above of the Dancing With The Stars Live in Las Vegas cast is courtesy of DWTSLiveInLasVegas Facebook. Note how Donny Osmond came to watch the show one night last week. Below are the pairings that I could put together based on the fact that they were together originally.